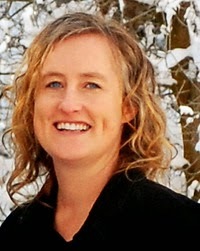 Cindy M. Hogan graduated with a secondary education teaching degree and enjoys spending time with unpredictable teenagers. More than anything she loves the time she has with her own teenage daughters and wishes she could freeze them at this fun age. If she's not reading or writing, you'll find her snuggled up with the love of her life watching a great movie or planning their next party. She loves to bake, garden and be outdoors doing a myriad of activities. “Mrs. Woiwode’s such a beast,” he said, sitting down. “She made me clean up all the crap people had dropped on the floor all day, just because I was tardy to her class. My first time, too. I had no idea.” His green eyes pounced on mine, and his liquid voice smothered me in chocolate. He ran his hand over his wild, yet somehow perfectly styled, light brown hair. “Well, who’s this?” he asked, tilting his chin in my direction and looking me straight on for several agonizing seconds, before Ian answered. “Well, Misha,” he said. “Welcome to Madness.” He said it in a fun, flippant way. His eyes never left me the rest of the lunch hour, but no one bothered to tell me his name. It didn’t matter, I already knew it. Dakota. I felt like a particularly great-looking bug that had caught the attention of a determined crow. I tried to ignore his continuous stare by listening to everyone talk about skydiving and all the cool places they’d like to go to jump. Relief filled me as the bell rang. “What do you have now?” Ian said. “Yep!” He looked at me and then nodded his head toward the door like he wanted me to follow him. My foot caught on the table leg as I tried to stand up, and I tripped. Ian grabbed me by the waist before I fell. My face must have created a new shade of red. “Thanks,” I said, keeping my head down and then grabbing his hand and giving it a squeeze to show him I was truly thankful even though I didn’t look at him. “No problem,” he said. “We’ve all taken a spill because of those awful table legs at some point.” I didn’t know if he was telling me that just to make me feel better or if it was true. At the moment, I didn’t care. I just appreciated his effort at making me feel less dumb. Dakota chuckled, and I felt my face fire up again as I followed him out into the hall. Dakota and Ian were by far the best looking guys in the group, and somehow I’d managed to get noticed by both in a very short amount of time. It shocked me when Dakota grabbed my elbow and pulled me out the front doors of the school. I noticed his hand was a bit sweaty. Was he nervous? After letting go, he rifled through a bush and pulled out his longboard. “Hop on,” he said. “Alright!” I said as I hopped on the back of the longboard, trying to hide the prickly fear filling my chest. In the files, the profiler for Division had suggested I get together with Dakota. A relationship would solidify Misha’s entrance into the group, and Dakota was supposedly the most compatible with Misha. They were right. He made my heart pound. He put his feet on the board next to mine and pulled my arm around his waist while he put his arm around my shoulders. If the board hadn’t been under our feet, it would have looked like we were walking down a sidewalk, side by side. A tremor went up my spine. “Put your other arm out,” he said. I obeyed, throwing my arm out to my side as he leaned toward the front of the board, sending us shooting down the steep sidewalk toward the gym. He then pulled us to a sweet stop by grabbing onto the flagpole, sending us around and around. I yelled out. At some point, he moved his arm from my shoulders and put it around my waist before pulling me off the board. It shot off into the bushes, leaving us standing, squished together near the pole. Nervous energy had me turning around to face him, thinking that he would remove his hands from my waist and take away the heat spreading through my gut. But he kept his arm around my waist as we walked, side by side up the steps. I giggled. He then rushed forward to open the door to the gym for me. I gasped, letting my eyes go wide. “Why thank you, kind sir,” I said with a curtsey. He gave an outrageously elaborate bow in return. Was he always so nice to girls? He made me feel special, and I liked it. Once inside the gym, he said, “That’s your stop,” and pointed to the door that read, Girls. “Thanks,” I said, smiling up at him. “Any time.” He pulled away, and I watched him walk to the boys’ locker room. Before he entered, he looked back at me, smiled and waved me toward the girls’ locker room. I could still feel the heat from his arm around my waist as I pushed my way into the room. I hadn’t expected to have such strong feelings for Dakota, especially not so quickly. I told myself to be professional and just do my job. Behind the door was your typical, run-of-the-mill locker room with girls changing into PE clothes and talking excitedly. Fruity smells of hairspray and deodorant filled the air. Thank you so much for being a part of my tour. YOu have a fun blog! 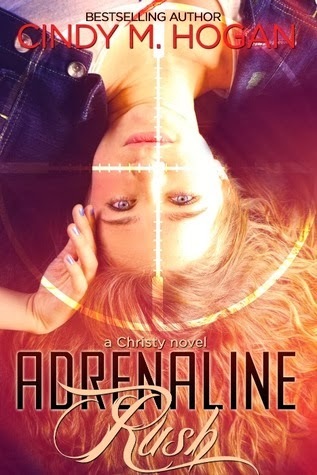 I'm setting up a blog tour for Cindy's next book. If you are interested in joining you can sign up here.